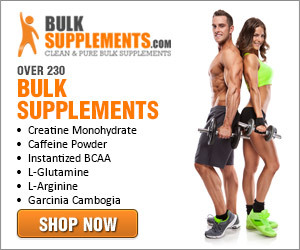 BCAAs, or Branched Chain Amino Acids, are available from food, but supplements are popular. Their role is complex, supporting the development and repair of muscles. They also play a role in augmenting mental function. It’s easier to digest a drink mixed with powdered BCAAs and other nutrients than it is to eat a whole steak half an hour before working out. If you advocate the use of supplements or are in search of your own new favorite, the following is a top 10 chart showing brands you can trust. The price range goes from $20 to $40. Ok, let’s have a look at our top 10 picks OVERALL. If you’d like to see our picks for the top BCAAs for women (because they ARE different), check out this page here! MusclePharm’s ratio represents the amount of leucine to isoleucine and valine in their supplement. The body, unable to make its own BCAAs, makes good use of MusclePharm’s mixture to prevent the metabolism from consuming muscle for energy after a workout. The taste of watermelon or blue raspberry is refreshing and rewarding between sessions; something to look forward to. MusclePharm 3:1:2 is one of the most widely available products here and costs about $20 for a 136g canister. This award-winning supplement comes in many formats, including small sizes for trial. It is promoted as support for endurance, muscle repair, and recovery that helps athletes push themselves past their limits. Amino X is free of sugar and stimulants, contains 10 grams of BCAAs, and is also enhanced with L-Alanine, Taurine and L-Citrulline. Choose capsules or an unflavored drink mixture containing 5000 mg of the BCAA trio listed above and in the products to follow. Evolution Nutrition recommends taking a serving (8 capsules) three times a day between meals and within an hour of starting or finishing a workout. If you’re drinking the powder, 1 to 3 times is fine per day, but the same timing is ideal. Mix with water or preferably juice as there is no flavor and BCAAs are reputedly unpleasant on their own. The biggest downside I can see to taking the capsules is how many you need to swallow, which is not fun — especially not 3 times daily — and is also expensive. At least unflavored BCAA 5000 doesn’t contain sucralose or aspartame. A 20-serving canister costs around $22 to $30, depending on your source, and is cheaper than steak and easier to take. Each serving provides anabolic support but also prevents a catabolic reaction where the body utilizes muscle for energy, undoing your hard work. That sort of reaction is common if, after a workout, one fails to replenish with carbohydrates and protein. Optimum Nutrition’s BCAA formula contains a 2:1:1 ratio of BCAAs favoring leucine, of course, plus 5 grams of L-glutamine to enhance recovery. Electrolytes provide the minerals that prevent cramping. Flavored or unflavored versions are available. The magic ingredient here, according to BPI Sports, is known as oligopeptide which makes it unique among related products. Their blend bonds the peptides (BCAAs) to form oligopeptide, supposedly creating a better means of transmitting amino acids to the muscles. Consequently, your metabolism could work better to utilize energy more quickly when you need it. Studies are still underway, so more evidence is needed. Essentially, BPI believes their bonding process makes amino acids more readily and quickly available for building and repairing muscle fiber. Their product is available in numerous flavors too, but it is not among the cheapest of items on this top 10 list. The JYM line of athletic supplements is well regarded, in part because the athlete behind it all is a well-educated guy who backs his findings with science. The active ingredients in JYM Active Matrix are 6 grams of BCAAs in a 3:1:1 ration (more leucine than others), 3 grams of glutamine, 2 grams of Creatine HCL, plus other ingredients to create a package that’s more than amino acids. You are supporting overall growth, endurance, power, and testosterone production. The addition of a testosterone-boost in this blend sets it apart and gives JYM Active Matrix a way to grab a man’s attention in a full catalogue of BCAA products. Use this as a supplement to amplify performance and speed up recovery; to improve energy and immunity. Mix a scoop of Core Series BCAA, Blue Raz or Green Apple-flavored, into a tall glass of water or juice. Stir well and drink up to three-quarters of an hour before working out, when you take a break, or afterwards. Two servings are recommended but no more than 4 daily. You will feel hydrated and energized, thanks to contents which include 8,000 mg of BCAAs, 5,000 mg of glutamine, and coconut water powder. It’s not cheap, but reviewers and body builders love it. You’ve pretty much heard it all before: BCAAs enhance muscular size, endurance, and strength but prevent catabolism. They augment energy levels and support a health metabolism. Version four of Cellucor’s BCAA product is designed for people who workout intensely such as professional football, soccer, or basketball players; anyone who needs to keep going for over an hour and relies on strong muscles to perform at his or her best. The addition of Beta Alanine helps to prevent cramping caused by lactic acid too. The serving of BCAAs is a little low relative to some of what we’ve seen above, but this is a decent product. Additional ingredients give each brand a selling point different from the others. Gaspari Nutrition chose to add B-Vitamins to their blend, essential ingredients in the promotion of a healthy metabolic system, important for energy, focus, fat burning, and also for moods. Along with 4000 mg of leucine and 1,000 mg each of L-Valine and L-Isoleucine, this is a solid selection at a low price. Each serving of ReGen BCAA contains 6 grams of the essential blend you have been reading about. Together with raw coconut water and electrolytes, they keep your body hydrated and replace minerals which you lose after sweating lots while promoting blood circulation to the muscles. ReGen BCAA contains no caffeine or sugar and tastes excellent in six possible flavors. Old-school athletes do not advocate the use of supplements. They say most people can obtain the BCAAs, antioxidants, iron, calcium, and other nutrients they need to workout by eating a balanced diet. But certain professionals disagree, believing science backs their claims that BCAA supplements improve performance, enhance muscle growth, and aid focus in a way that merely eating a protein-rich meal would not. This is particularly true for body builders and distance athletes. Protein contains Amino Acids, but Branched Chain Amino Acids are different from the usual classification. There are three: valine, leucine, and isoleucine which the body breaks down and for the development of muscle. Your body does not make them naturally. These nutrients also defend existing muscle from being re-used as energy after you exercise, when you need calories for energy. BCAAs are turned into blood sugar in order to provide the metabolism with what it needs to function and, thus, continue with fat burning and muscle development while also allowing the body to repair itself after a workout. BCAAs are critical for bodybuilders, available as energy for their muscles while they work out and promoting the release of other energy stores during arduous, lengthy sessions. Scientific Research connects BCAAs with enhanced mental agility and focus as well. Endurance athletes require concentration to continue their marathon, a long workout, another set of reps, and so on. If they lack concentration and also energy, taking a supplement during performance is shown to augment focus and to energize participants. Muscles put under stress suffer injury and soreness; cramping and strain. BCAAs limit damage to these muscles, especially after a long period of exercise. They allow a person to workout twice in one day after a short break and to train daily without a 24-hour rest period. Some studies suggest that blood circulates to muscles more freely as a result of supplementation with Branched Chain Amino Acids as well, carrying oxygen (part of healing) and increasing both size and strength. How they behave depends on when they are taken as supplements or ingested as food, but there is no doubt that these special amino acids are important to athletes. The body does not produce Branched Chain Amino Acids, so athletes must consume them. Supplements are often touted for their concentration of BCAAs and the ease with which one can digest them in drink form as opposed to solid food. As a drink powder mixed with water, one satisfies two needs simultaneously: the need for supplements and hydration to the muscles which is also critical. Supplements are costly, however. A canister might cost up to $50 for a supply of just 30 servings or as little as $20. Large volumes are cheaper overall, but still expensive as an outright purchase, especially if you get tired of a certain flavor. Are there foods which contain leucine, isoleucine, and valine available with minimum preparation? Old-fashioned trainers recommend increasing intake of foods high in protein, especially red meat. It’s not an old wives’ (or trainer’s) tale that a hearty steak provides those amino acids your muscles thrive on. This idea is true, but there are potential problems with using red meat as your sole source of BCAAs. Vegetarians obviously will not look to them as a viable source. Meat needs to be cooked so the steak has to be prepared while you work out or be eaten cold. One’s post-workout appetite is not always sharp in spite of the rigors a body goes through; nausea is even common. Digesting meat can be problematic mid-way through or directly after a session, although eating some within an hour of beginning exercise is possible. If you like other meats better than beef, then chicken, fish, and lean pork are acceptable but contain fewer BCAAs. Dairy products provide a vegetarian alternative but not for vegans, or course, which also means eggs and whey-powder protein shakes must be left off the list. Consider nuts and beans such as pinto and kidney beans. Soy is also a good choice, while other plant-based proteins will at least give a vegan athlete something to chew on. Choose a quinoa-based shake mixture and go for something flavorful. According to experts, drinking plain, unflavored BCAA drink mix powders is an unpleasant way to start a workout or hydrate after getting sweaty. The good news is most of these products come in a flavored format which is easily dissolved in water or juice with a spoon or a shaker bottle, no need of a blender. If you choose unflavored products, mix them with smoothies and bulk up even more with carbohydrates while ingesting some antioxidants at the same time. Watch out for sucralose and aspartame, however. Low-calorie options are appealing, but sugar replacements are not well-liked among nutritionists. Real sugar is fine, and even stevia would be preferable. Companies such as Optimum Nutrition, MusclePharm, JYM, and Dynamize are just some of the trendy firms selling athletic supplements. They tend to divide them between pre- and post-workout, sometimes intra-workout products, plus vitamins and weight loss aids. BCAAs are often classified as recovery or post-workout supplements. You’re looking for a ratio which favors leucine as the most important of those three Branched Chain Amino Acids. Several online and in-store magazines lay out the pros and cons of various supplements with honest reviews of their contents and results, but there is also the chance that a review is backed by advertising dollars. Do your best to find a number of write-ups on any item that takes your fancy to obtain an unbiased and educated view of its contents. If it’s in the top-ten, how did it get there? If your budget is more important than anything else right now, hone in on the cheapest ones knowing they are beneficial even if they don’t rank among the top brands.